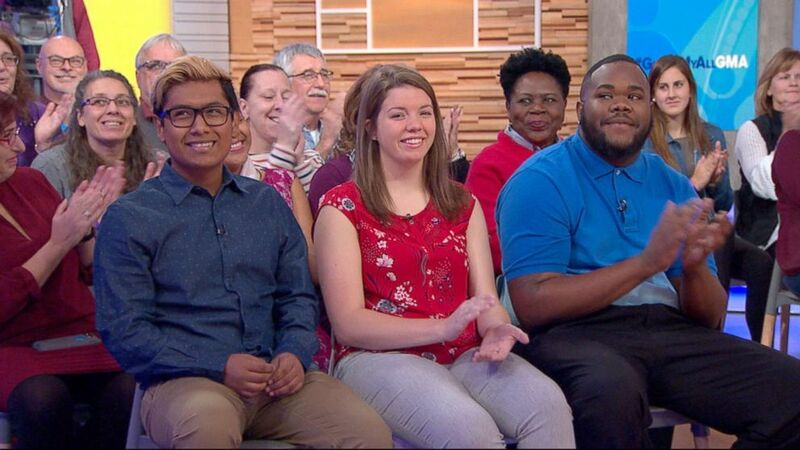 Three students were surprised with $40,000 college scholarships live on "Good Morning America" Thursday, after speaking out about how rising tuition costs have cast their dreams of higher education into question. 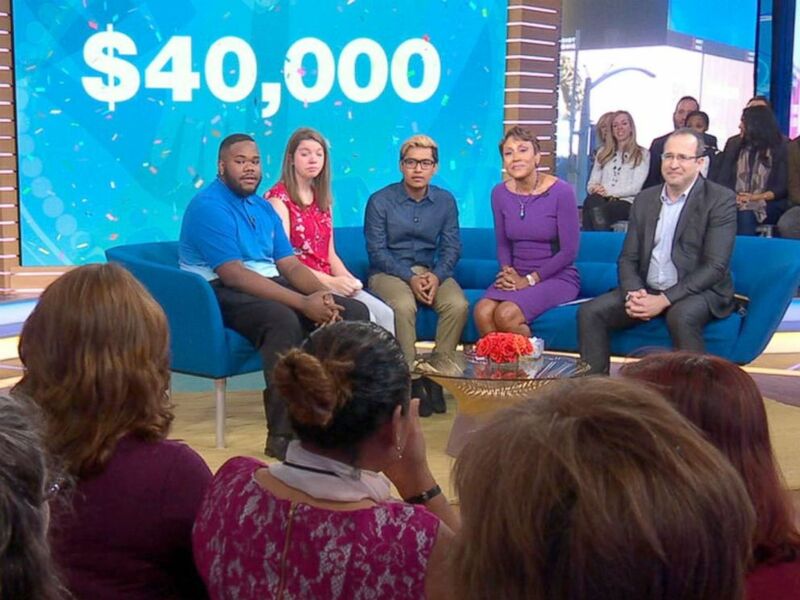 Edson Leyva, Autumn Loss and Matthew Blue were each given a $40,000 scholarship from the College Board in order to help them pursue their dreams of a college education at a time when a majority of college students graduate with student loan debt. 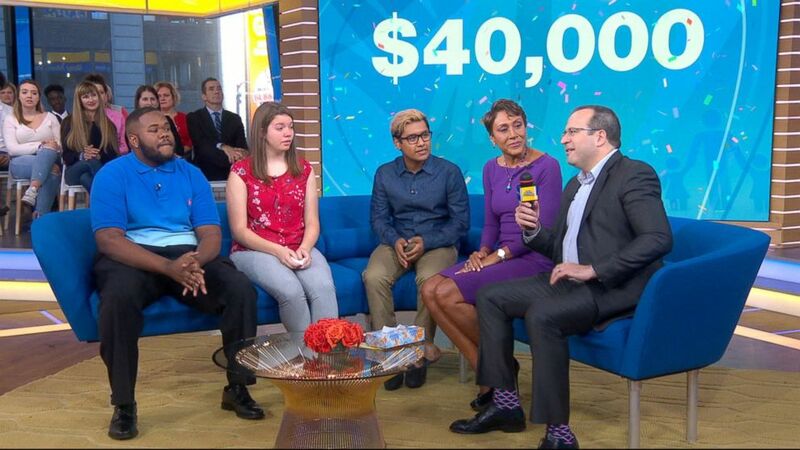 "These students and students like them have inspired us to start a new scholarship program," College Board CEO David Coleman said on "GMA" today. "We've heard from families, from students across this country, that getting to college is too complicated and too expensive." Leyva, 18, told "GMA" that his dream is to become a film director in Hollywood, a dream that all but evaporated when he Googled the cost of film school. "I looked at it and I closed my laptop," he said. "It was demoralizing, because I thought college was exclusive to certain types of people with a certain amount of money." Edson Leyva, Autumn Loss and Matthew Blue were each given a $40,000 scholarship from the College Board in order to help them pursue their dreams of a college education. A child of Mexican immigrants, he is the first in his family to go to college, and says he hopes "to do something that’ll further my family and provide them with a better life." Though he was accepted to the University of California, Los Angeles, he says he was forced to defer his enrollment until he could save enough money for his tuition. Loss, 20, said she hopes to be "an agriculture teacher" and is currently a sophomore at a two-year college with plans of transferring to Michigan State University after she completes her current program. This gift comes at a time when a majority of college students graduate with student loan debt. Growing up on a farm in rural Michigan, Loss said she knew early on that she wanted to work in agriculture. "We grew numerous different animals such as horses, rabbits, peacocks and chickens," she said. "I want to open up a pumpkin farm one day with a petting zoo," she added. "Because I think that would be very cool." As one of 10 children, Loss said her parents told her straight up she would have to pay her way through college. With limited funds for her five-year agriculture teaching degree, Loss entered a community college to save money, saying finding money for education so far has been daunting. The students spoke out about how rising tuition costs have cast their dreams of higher education into question. "I'm always looking for scholarships," she said. "I just try not to freak out because I know in the end that I'm going to end up where I'm supposed to be." Blue, 19, said he hopes to become a "radio personality." He said his mother, Rachel, is his inspiration to graduate college after he watched her struggle as a single mother when he was growing up. "It was always instilled in me by my mother," he said. "I knew I had to go to college." "It was a struggle ... but she made sure I didn’t get to see that," he added. "She made sure I always saw the peace ... and not the storm." 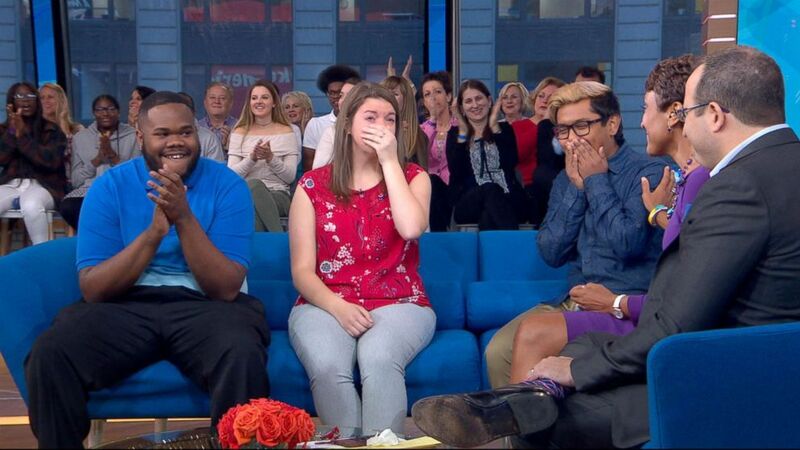 Three students were surprised with $40,000 college scholarships live on "Good Morning America." Now a sophomore at Langston University of Oklahoma, finding funding for college has been hard. "The first thing I felt is hopelessness ... but how am I gonna pay for it?" Blue said. "How many loans am I gonna have to take out? "I apply to different scholarships, but I don't get them," he said. "I just keep going." "This means a lot," said Blue's mom, Rachel. "I'm so happy for him because he has done so much and he deserves this." Leyva said, "I'm extremely grateful right now." "Thank you is never going to be enough," Loss said, fighting back tears. "I appreciate you," Blue said. Coleman said the College Board Opportunity Scholarships lays out six simple steps that any kid can take to go to college. "Doing each step earns you a chance at a scholarship and doing all, gives you a chance at a $40,000 scholarship," he said. To find out more about the scholarships, visit cb.org/opportunity.